Usha Raja is the chairpersons of Newsreel media service pvt ltd. which runs the popular website Chaennailivenews.com as also the website Indianewsreel.com and Pudhucherrylivenews.com. She has nearly two decades of experience in journalism and has written extensively on temples, travel, and music. She has written regular columns in Online media and authored crossword puzzles and recipes. She conducts courses on Online journalism in many collages. A post graduate in English Literature, she is qualified in French and Carnatic music. 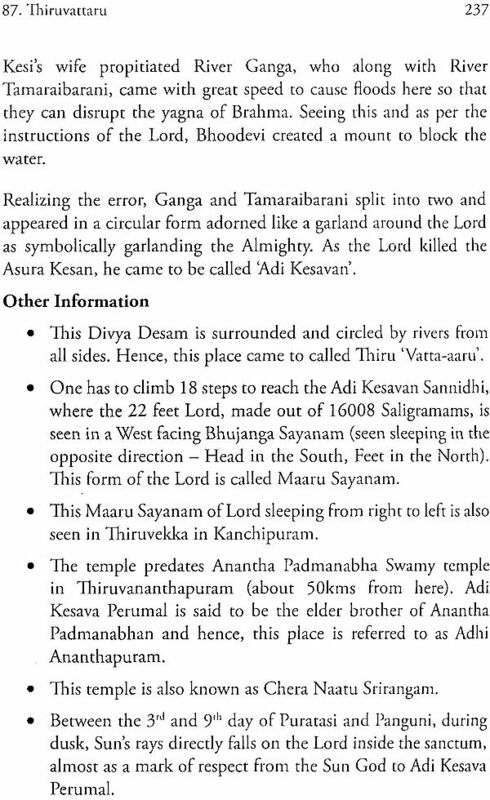 Every devout Sri Vaishnavite desires to visit the Divya Desams, the abode of Lord Vishnu, sung by the 12 Azhwars. 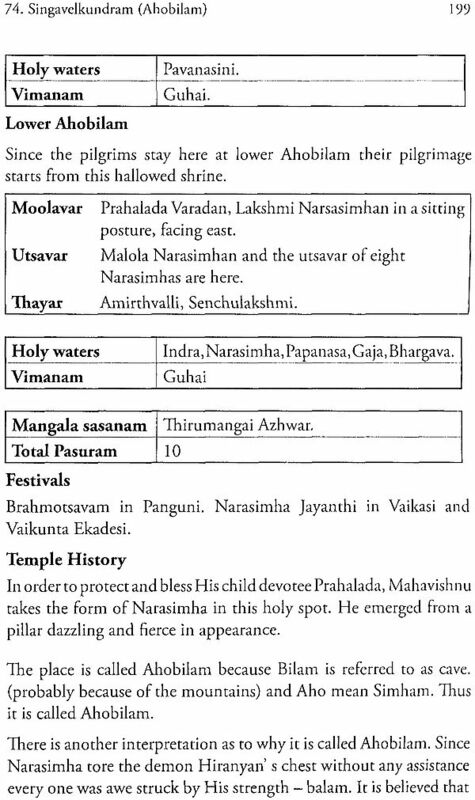 Sri Vaishnavism refers these temples as the 108 Divya Desams meaning holy places. It is said that Lord Vishnu presents Himself in five different states and one of them is “Archa Avater” , that is in the idol form. Lord Vishnu is present in Archa avatar in the Kali yuga, the fourth and current one among the yugas. 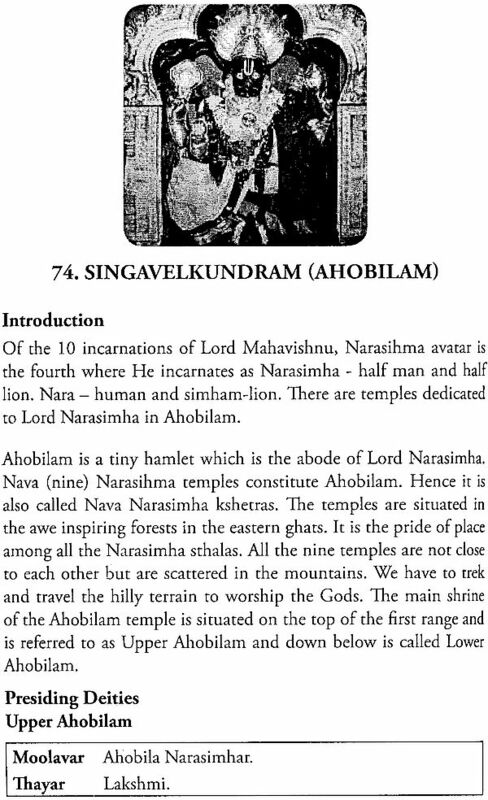 The numerous temples spread across Indian and other parts of the world are houses of Lord Vishnu in multi various form and are all example of the Archa Avataram. They offer simple and easy access to the devotees to pray to the God and attain spiritual solace. They are form different ages and represent the historical perspective too. Among them, 108 find reference in the 4000 verses of Divya Prabhandham, sung by the 12 Azhwars and they hold a very special place of pride in Vaishnavism. 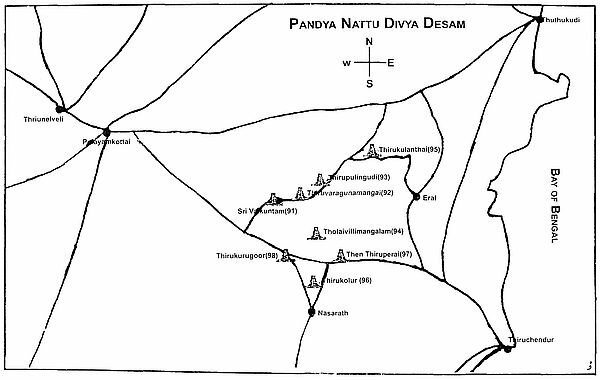 The ever-growing number of devotees who visit the 108 Divya Desam has sparked a need for a good, concise guide that would give the essential information regarding the Divya Desams for a touring devotee. This book has been written with this objective in mind. 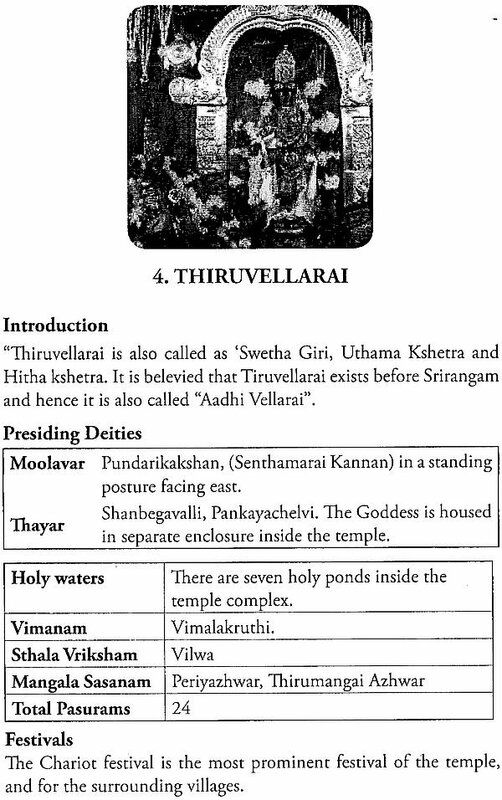 Information regarding the deity, temple vimanam, holy water, sthala vriksham along with a brief history of the temple has been provided for each of the temples. 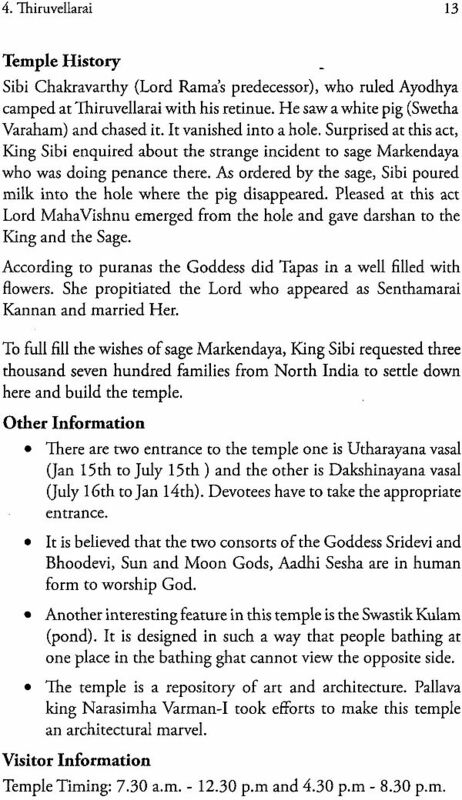 Important festivals associated with the temple has been mentioned. 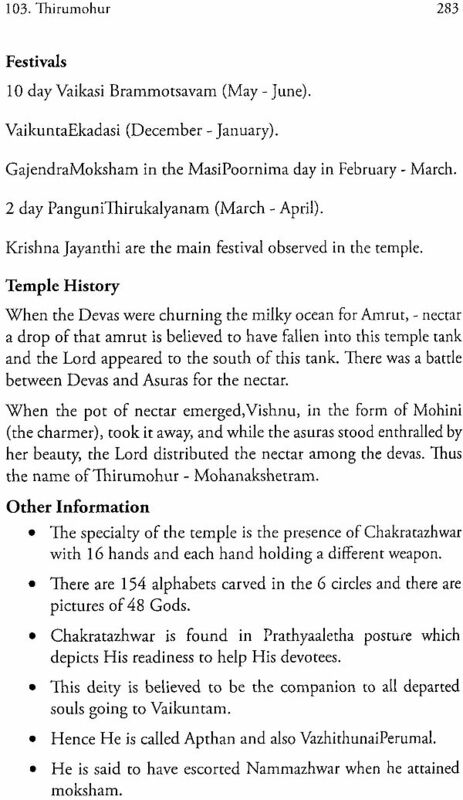 The book also captures important information pertaining to each of these temples. These will be of help to know more about the temple’ concerned. 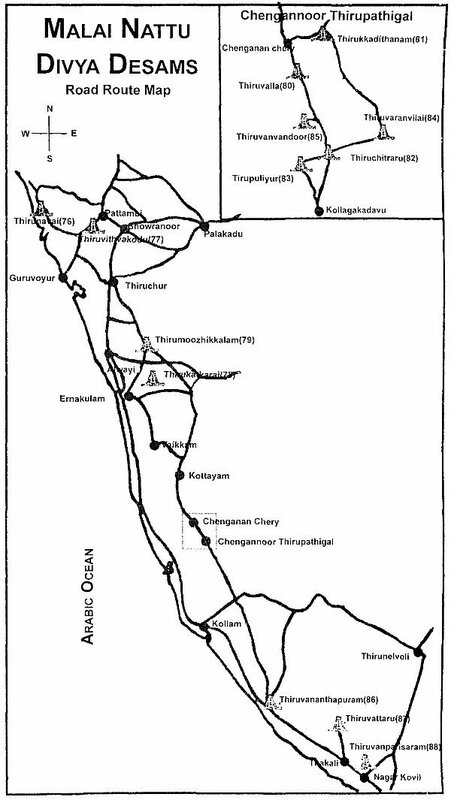 Temple Timings, route and access, logistics along with contact numbers, which, may be of help to the tourists are also provided. The intent being to provide basic and concise information on the Divya Desams, the book does not attempt to provide detail or exhaustive information on the temples’. It is only an introductory book on Divya Desams, with focus on the tourist. Those who get initiated and interested would certainly fina detailed and comprehensive information in other specific book. In this fast moving are, where SMS and Twitter are the norm, the aim is to present a structured guide on the Divya Desams in a brief manner. 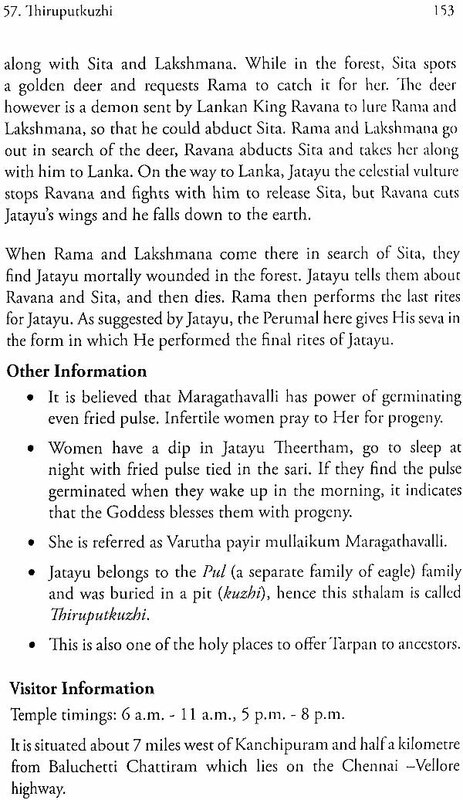 The book does not go beyond the 108 Divya Desams and Abhimana Sthalams are not covered. It is hoped that those desirous of knowing about Divya Desams and those interested in visiting them find this book useful. When I was in Delhi for a few month decades ago, as a student of History, I would clutch of the Archaeological Survey of Indian called ‘Monuments of Delhi’. It was my guide to tour every nook and corner of Delhi, looking for everything from pre-Mughal India to British India. Reading this book by Usha Raja on the Divya Desams, brought back those memories. The trigger was the world ‘handbook’. Just as the ASI book was a handbook for me to explore Delhi, Usha’s book will be a handbook for those who wish to explore the 108 Divya Desams of Vaishnavite tradition. Usha has neatly and systematically worked out her articles on the temples. 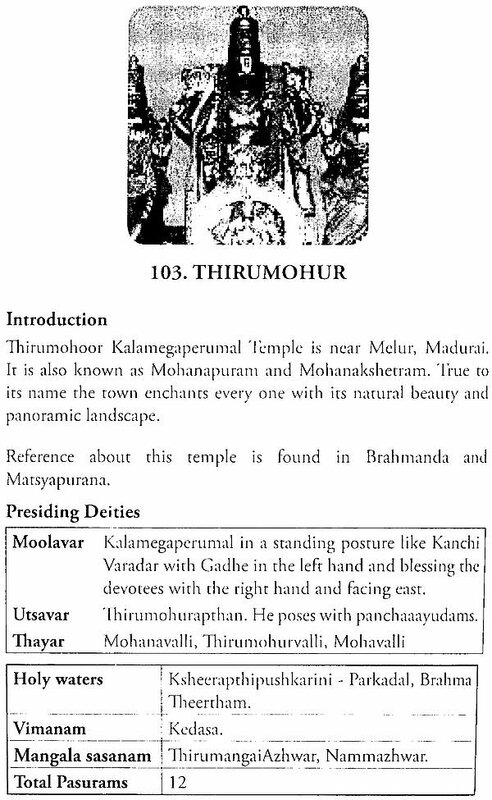 She gives an account of the temple’s architecture, its artistic value, the mythology/history behind it and how to reach there. Most books on temple tend to overlook the aspect that we need direction to reach the place. Usha has filled in that gap. The English is simple and the stories associated with temples go straight to the heart. Usha has not written these articles based on hearsay or by referring to books. 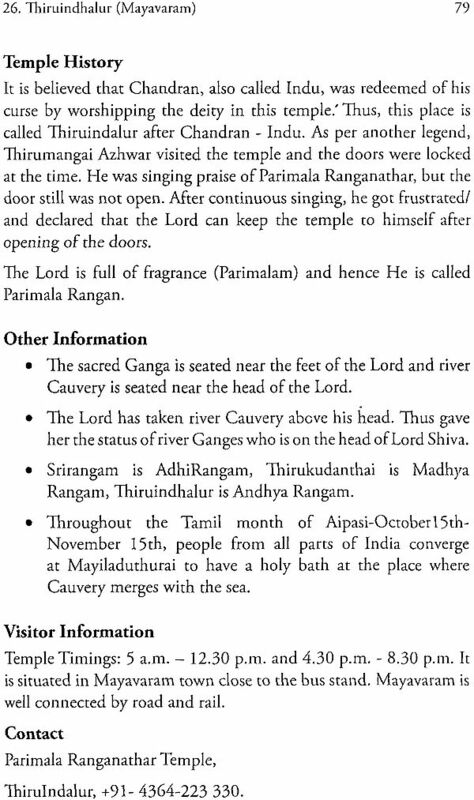 She has personally visited all these temples and it is her first-hand experience that enriches the quality of the book. Beginning to end, it is concise and this would please the SMS/Twitter-smitten world that we live in. 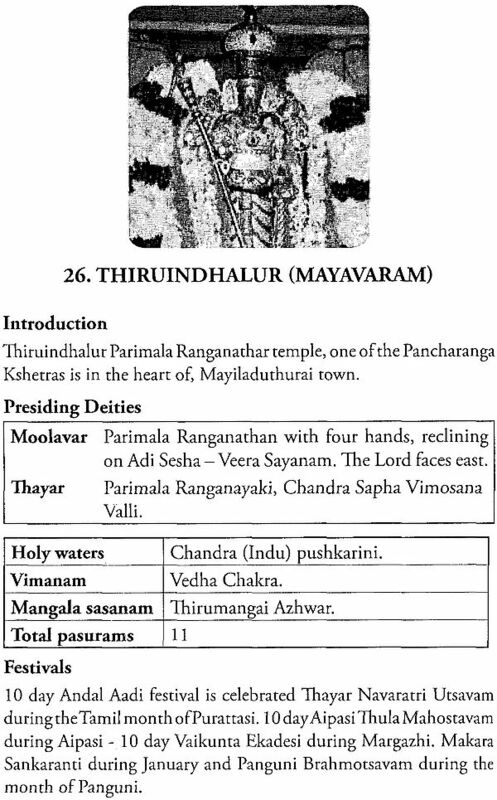 This is a book that would show the hoary Divya Desams in a microcosm to the devout Vaishnavite and initiate the indifferent Vaishanvite to venture out and see for himself/herself the rich treasures of this land. Tuck this book into your travel bag and you will be rewarded with a rich experience.